The following material is from curriculum materials I put together as part of a Holocaust course in a Jewish day school (the class was for middle-school students). The sheets were intended to be "notes" for the class, to help the students remember the topics covered, so the material is very abridged. Feel free to contact me if you want more information. The Allies and neutral nations were slow, at best, in helping Jewish refugees escape from Europe. In general, they refused to loosen immigration laws to allow Jews to escape from the Nazis. 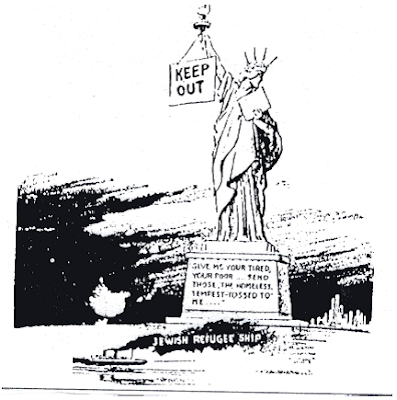 It has been estimated that the United States issued over one million less visas than were actually permitted by U.S. immigration law during the period from 1933 to 1941. Great Britain not only refused entry to numerous refugees to its own shores, but even refused to allow Jews to escape to the land of Israel, which was then under the British Mandate. Allied refusal to bomb Auschwitz or its rail lines. Refusal to utilize illegal or semi-legal methods in order to save Jewish lives. Fear of arousing anti-Semitism and antagonizing the U.S. government. Excessive (and, ultimately, unjustified) faith in President Roosevelt. Over-emphasis of other goals (such as the establishment of a Jewish state in Palestine). The Revisionist Zionists led by “Peter Bergson” were a notable exception to this pattern; they were aggressive advocates of rescue of all the Jews in Europe. The Revisionist Zionist activists were thus frequently allied with Orthodox rescue efforts. Reform Rabbi Stephen Wise’s 1943 congressional testimony against establishing a rescue commission. The March of 400 Rabbis (Oct. 6, 1943), the only rally in Washington on behalf of the Jewish victims of the Holocaust, was a joint effort of “Peter Bergson” and the Orthodox Vaad Hatzalah. The Agudath HaRabanim (Union of Orthodox Rabbis), led by Rabbi Eliezer Silver, founded an organization devoted to rescue called the Vaad Hatzalah (“Rescue Committee”). The Vaad was supported by all of Orthodox Jewry (Agudath Israel, Young Israel, Mizrachi, etc.). It was initially devoted mainly to the rescue of the members of the great European yeshivos who were not being served effectively by the existing organizations. As time passed the Vaad Hatzalah expanded its efforts to include all Jews. The leaders of the Vaad were willing to do anything to save their fellow Jews. Rav Avraham Kalmanowitz’s “fainting” spells. The single-mindedness of Rav Aharon Kotler. “Illegal” food packages for Jews starving in Polish ghettoes. A variety of factors, including the publicity caused by the Rabbis’ March, pressure from Treasury Secretary Henry Morgenthau, and the growing scandal of a State Department cover-up, forced President Roosevelt to establish the War Refugee Board in 1944. The first, and only, such American effort; the WRB received very limited funding and minimal support from the other branches of the government. The WRB actually had to collect money from private Jewish organizations, such as the JDC. Nevertheless, it succeeded in saving the lives of more than 200,000 Jews in Europe. 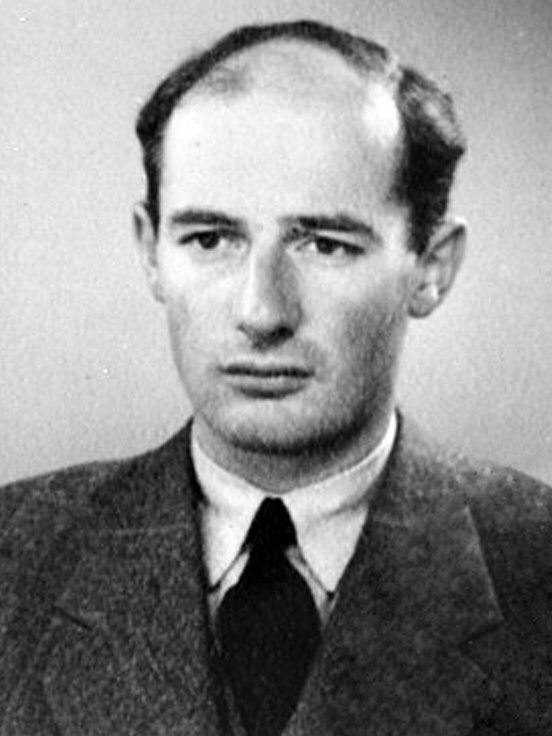 The WRB funded the efforts of Raoul Wallenberg to help save Hungarian Jews. Rav Weissmandel then conceived of the “Europa Plan,” a bold attempt to save all of the surviving European Jews through ransom. This idea was opposed by some Jewish organizations (based in Allied or neutral countries, of course) as illegal and "degrading". Ultimately, the necessary funds were never raised and the negotiations with the Nazis failed. In 1944, the Working Group received information about the Auschwitz death camp. Rav Weissmandel sent messages, complete with maps and detailed information, to the Allies begging them to bomb the rail lines leading to Auschwitz or the death camp itself. The War Refugee Board and others joined in the call but the pleas fell on deaf ears. Various excuses were given for the refusal. In Jan. 2008, during a visit to Yad Vashem in Jerusalem, President George W. Bush discussed this issue and commented, "We should have bombed it." The rescue of Danish Jewry by an organized effort of the Danish government, underground, and ordinary citizens. The French village of Le Chambon-sur-Lignon provided refuge for 5,000 people. German industrialist Oskar Schindler protected over a thousand Jewish workers from deportation to Auschwitz. Swedish diplomat Raoul Wallenberg, Swiss diplomat Carl Lutz, and Italian citizen Giorgio Perlasca (posing as a Spanish diplomat), provided tens of thousands of Hungarian Jews in 1944 with certification that they were under the "protection" of neutral powers. In Kovno, Lithuania, Jan Zwartendijkthe (the Dutch acting consul) and Chiune Sugihara (Japanese acting consul) issued thousands of "visas" enabling Jews to leave Lithuania for Japan. Many of these Jews remained in Shanghai for the duration of the war. Irena Sendler was a Polish social worker and member of the Polish Underground. She saved 2,500 Jewish children by smuggling them out of the Warsaw Ghetto. She was caught by the Nazis but refused to reveal the location of the children, even under torture.